Western Queensland sheep farmers are suffering high stock losses from dingo or wild dog attacks. Some of them are changing to cattle, as the bigger animals are more able to defend themselves, but even cattle farmers are complaining about dog packs taking down calves. There is serious talk of extending the famous dingo fence, which borders SA in a dog-leg (hmm!) shaped barrier. Meantime a group of academics has proposed that improved land management practices in national parks and elsewhere may be possible through lateral application of our scientific knowledge of their natural ecosystems. Guns and poison have not solved problems with pest predators. 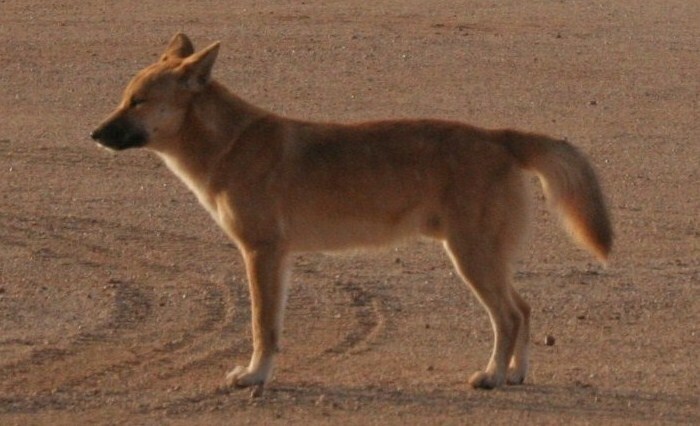 The experts suggest that in some areas the best weapon is the dingo, with research showing that it strongly controls fox, goat and kangaroo populations. “Dingoes are an unrelenting and ultimately free service”, they say. How interesting, to think differently about the iconic dingo. And maybe the science and our custodianship of the Wide Brown Land would head in the same direction if we decided to drastically reduce sheep populations, which have done such a great job of decimating Australia’s top-soils over the last 200 years. I’m not sure cattle are the answer though. Environmental challenges are complex and need ecological thinking. Meanwhile don’t denigrate the dingo!